Before we run our first program lets make sure you have Linux installed on your PC. If not the check our installation guide. 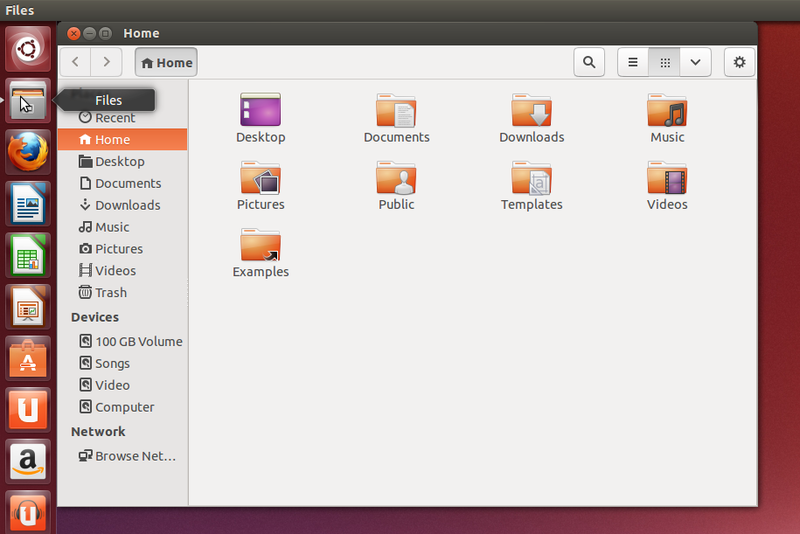 Installing Ubuntu on a Virtual Machine. Since you will be using Linux for the first time, I made sure there were a lot of screenshots to guide you. 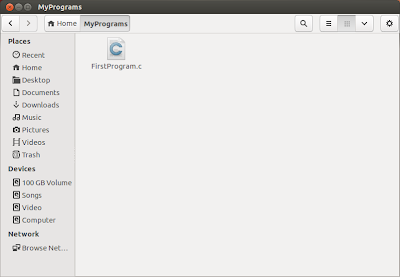 Create a directory and the (program) file. Locate it on the Terminal. Run the C program on the Terminal. Open the Home directory using the file explorer. 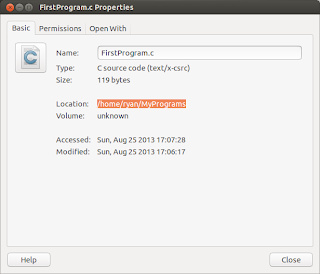 Create a new directory, name it MyPrograms. To create a directory simply Right Click and select New Directory. *Make sure you don't leave a blank space in the directory name or file name. Now open the file and copy the code below. 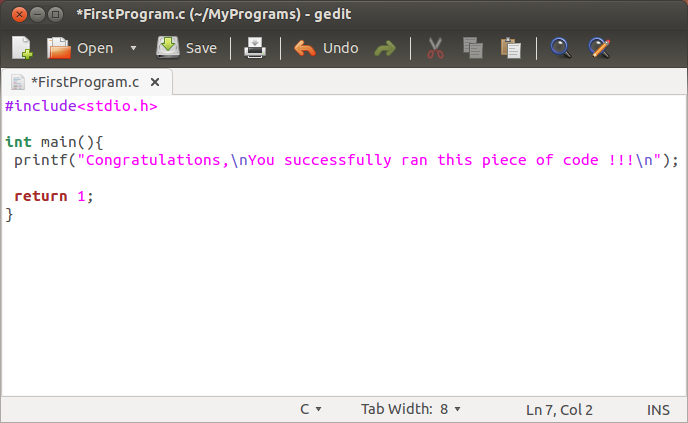 Congratulations, you created your first C program. 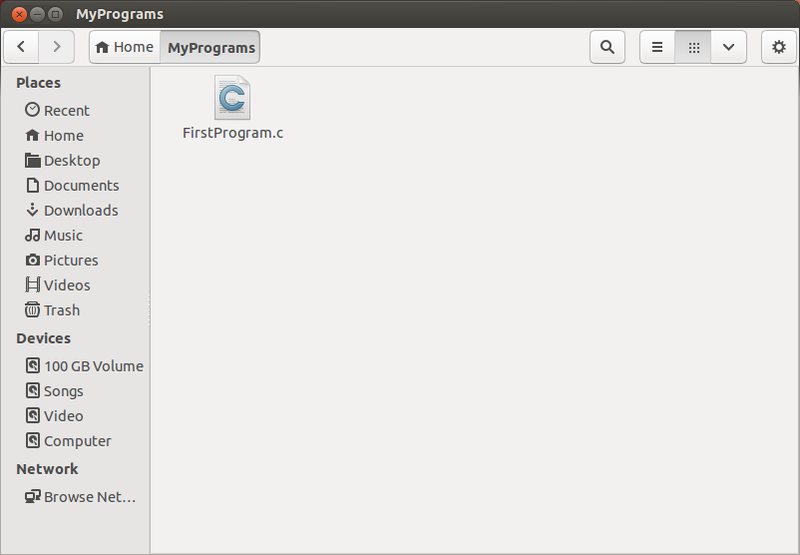 Now that the first part of creating the program is done, lets locate it on the Terminal. 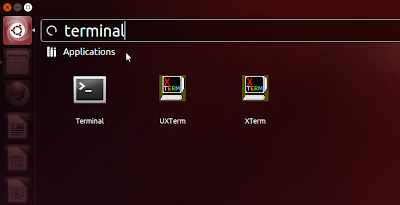 A terminal is like the command prompt in Windows. 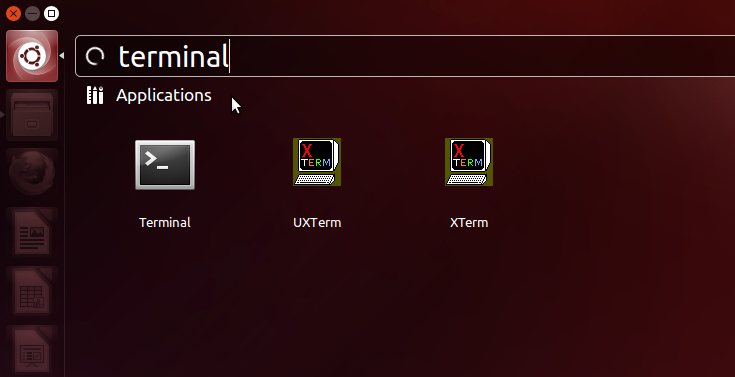 You can either open the Terminal by searching for it in the search utility, or simply use Ctrl+Shift+T to open the terminal. 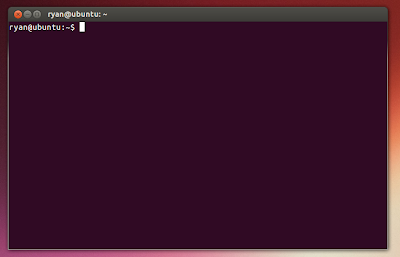 This is how the Terminal in Ubuntu looks like. Better than the rusty Command prompt in Windows right? 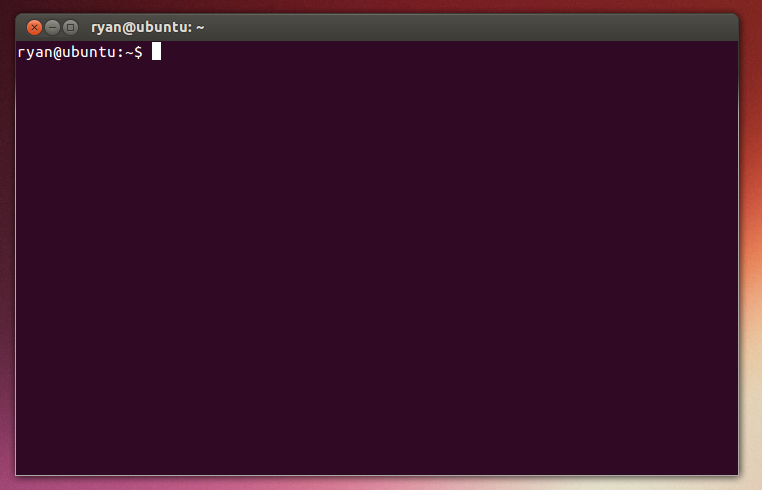 The text that appears on the left side is called the shell prompt. It displays your user name and the current directory you are on. In the pic below ryan is the username and ~ is the present directory. ~ is an alias for your home directory. 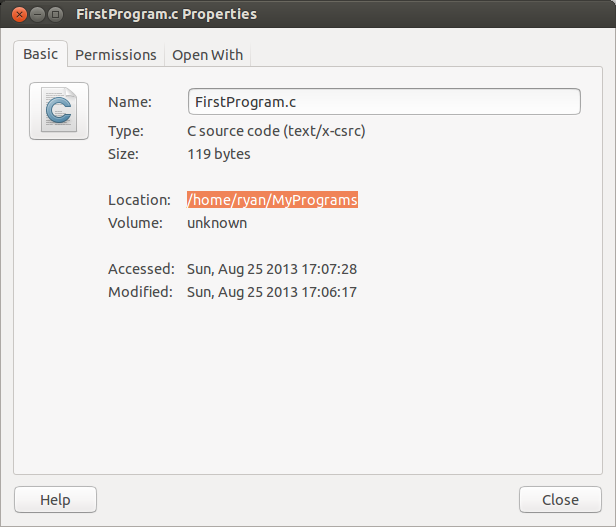 To locate the file on the Terminal open the properties of the file you just created (FirstProgram.c). What u do next will make you feel like a pro programmer. 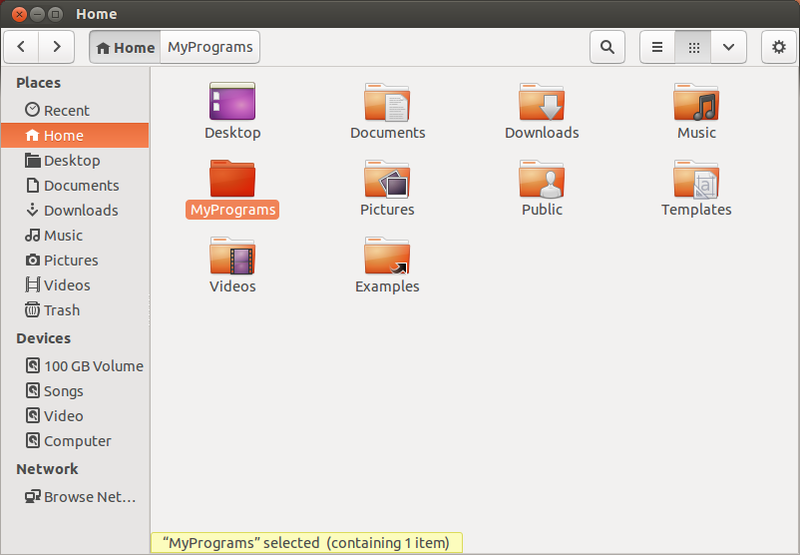 The ls command will display the contents of the directory. LS is an abbreviation for Listing. You can see the directory you created. 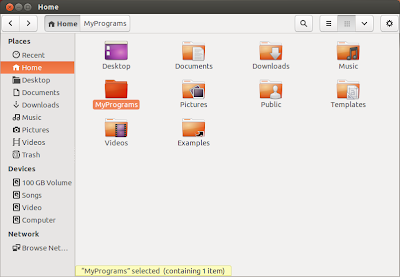 MyPrograms. *Notice the current directory has changed from ~ to MyPrograms. Good job, you located your program in the Terminal. Just a few steps until you run the program. I know it wasn't easy, but don't give up. You only need to learn this once, it wont be as difficult the next time. This is the command you need to enter to run your program. You will notice that no output is printed, instead executing the ls command will show a new file called a.out is created. Don't worry, your program is converted into a binary code, a format that your computer understands. If this file gets created you can say your code is compiled. 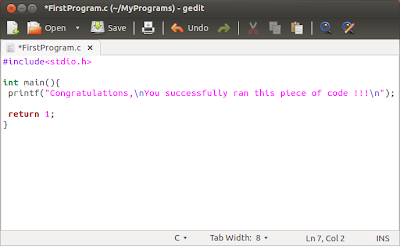 Congratulations, you didn't give up and successfully ran the program. A great achievement indeed. And use the ./ prefix with the output file name to run it.